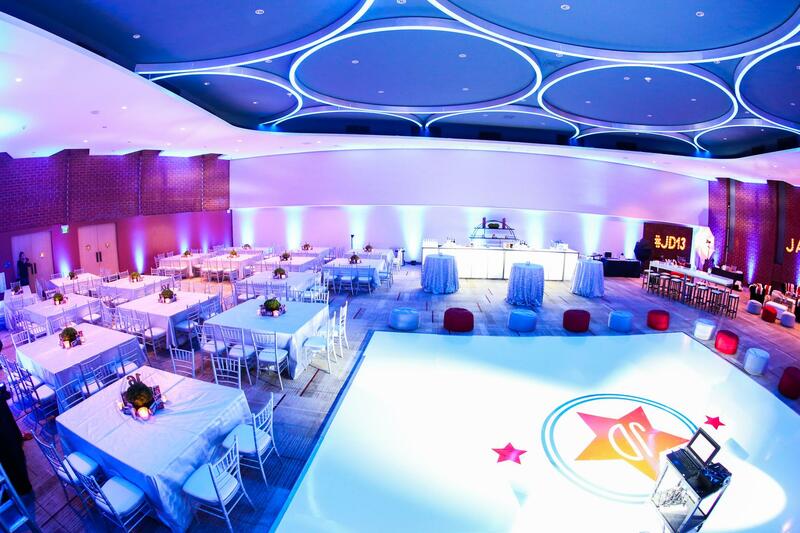 Rent Temple Emanuel of Beverly Hills | Corporate Events | Wedding Locations, Event Spaces and Party Venues. Temple Emanuel of Beverly Hills is a modernist architectural landmark in the heart of Beverly Hills featuring a wide variety of easily transformable event spaces for weddings, Bar / Bat Mitzvah parties, dinners, receptions, lectures and conferences, as well as film shoots and screenings. Comparable to the luxury amenities that hotels have to offer, Temple Emanuel provides all of that, and more, at an affordable price, with impeccable service and in one of the most well-renowned and prestigious cities. Nine premier venues and 14 classrooms are located in two, mid-century modern buildings designed by the renowned architect Sidney Eisenshtat. Whether you are hosting an intimate dinner for 25 or a large event for 1,200, our diverse event settings seamlessly accommodate your individual needs and preferences.